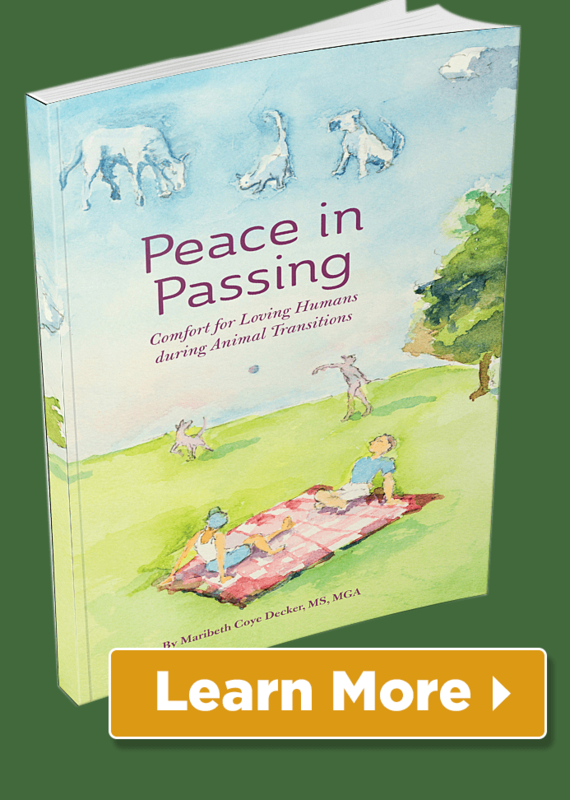 Postcards From Your Pet | Sacred Grove: Intuitive animal communication & energy healing; Alexandria, VA.
Do you worry about your pets when you’re on vacation? 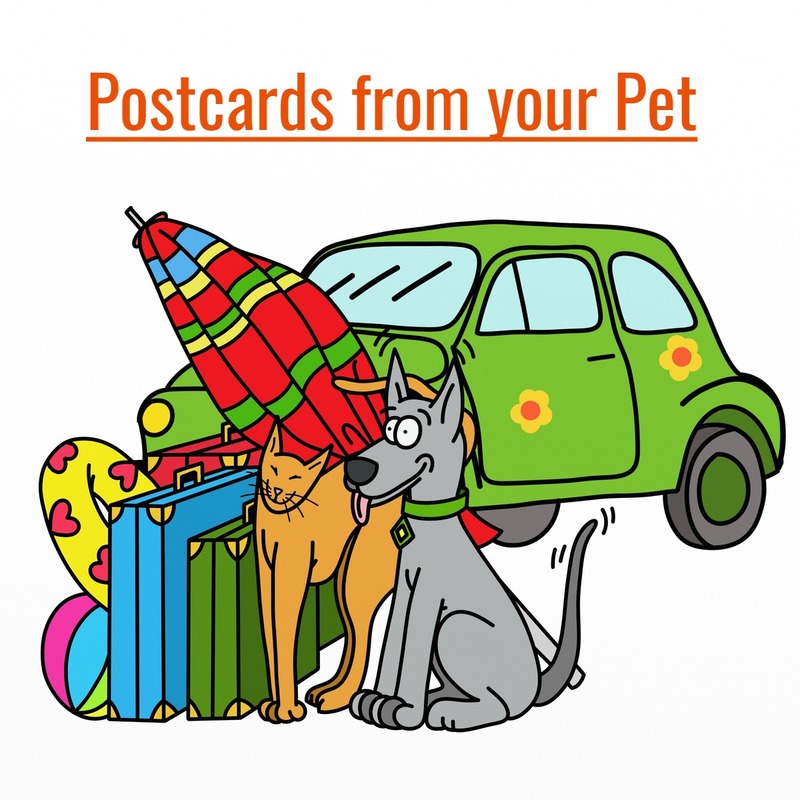 Wouldn’t it be comforting to get postcards from your pet when you’re away from them? And let them know you’re coming back? My dogs and cats see my luggage come out and suddenly they’re on high alert. They know I’m going somewhere, and they’re not thrilled. You know what I mean. You sure don’t have to be an animal communicator to figure that one out. Cats sitting inside the suitcase and dogs pacing in circles give their thoughts away. A while back, I let my dogs and cats know how long I was going to be away and sent love while I was gone – before I left. If my husband Charlie came with me, I explained who would take care of them. While I was gone, I checked in with them remotely, reminded them I loved them, and counted down the days until we returned. They still weren’t thrilled, but it helped them and me. 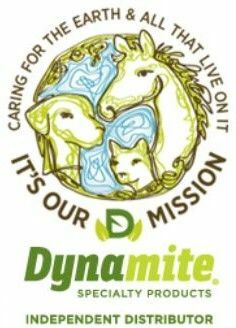 A few clients asked me to provide this service for their pets. Before they left, I let their pets know the schedule. And I sent love: not just the thought, but the vibration of love. I assured the animals that there was no need to be nervous or worried; those weren’t requirements to prove their love. They had permission to relax and have a good time while their people were out of town. The animals and I connected routinely through the client’s absence. 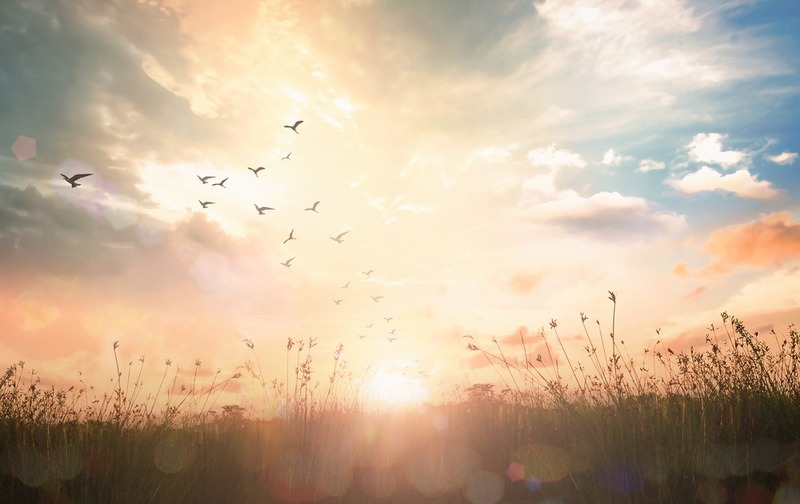 We played a game I call, “How Many Sunrises Until Your Person Comes Home.” One client’s cats asked for it almost like little kids ask for their favorite bedtime story. And I shared special requests from my clients to their pets. For finicky eaters, I asked them to be sure to eat; for animals with medical issues, I asked them to let their sitter give them medication; and for overweight animals, I asked them to play with their toys and chase their buddies more often. I shared their person’s feelings of love and relief if they took the action we asked for. Where do postcards come in? I confess: they’re not actual postcards, they’re emails. But postcards are more picturesque, so I took some liberties with the idea. I send you emails about what I shared with your pets and let you know if they have any issues. You finally relax and enjoy yourself—and your pets do, too. What has been wonderful is when I support problems your pet sitter encounters while you’re gone. For example, I convinced a cat to come out from under the bed so the sitter could give her medicine. That’s a win for everyone. “Postcards From Your Pet” doesn’t replace a good plan of care using reliable people. Your animals still need water, food, exercise, and someone physically checking on their wellbeing and providing some hugs or scratches behind the ear. And although I send healing energy during emergencies, it doesn’t replace veterinary care. Crazy? Only if it doesn’t work. Postcards from Your Pet is not just a feel-good gesture to help you relax. I’ve received some good reports from my clients. I don’t have adequate words to describe the gratitude I have for Maribeth Decker of Sacred Grove and her Postcards From Your Pet vacation check-in program. In fall 2018, I traveled to Europe and was away for a month. 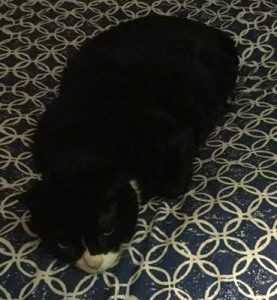 About ten days into my trip, I received a text from my petsitter that my cat, Princess Leia, was in a coma. I learned that it was unlikely that Leia would live. Imagine how crushing this news was. I felt bereft, knowing that my kitty might die while I was so far away. I reached out to Maribeth to ask her if she might let Leia know how beloved she was and that I wished I could be with her during this terrible experience. Whenever we left for a vacation our cats, Terra and Chi, have always been very stressed. I worried about them while we were gone. Our petsitter was kind and conscientious, so my take on it was that the cats were experiencing separation anxiety and/or perhaps thought we wouldn’t return. They wouldn’t eat properly, they were frightened, they hid, etc. When we returned from long weekend trips, both had lost weight. The petsitter always reported that they were hiding from her and didn’t want much, if any, interaction. The pictures she sent always showed them hiding. 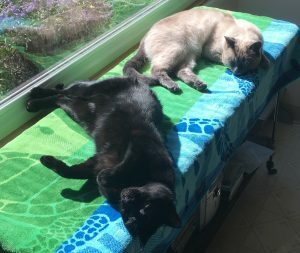 Each time the petsitter reported in about the cats (with pictures) she said they were much more relaxed and interactive and were actually eating well! I could see the difference when I looked at the photos. Chi was out and visiting with her and had his tail in the happy position (over his back). Terra was more relaxed as well. For once, I was actually able to relax and not worry while on vacation. After we returned, the petsitter said this last pet sitting for Terra and Chi was the best one she had experienced. I couldn’t have been more pleased with Maribeth’s help! Want to see if I can help?